Now is your chance to fight back for Arizona! Under the pressure of pro-amnesty groups more and more cities are coming out against AZ's new Immigration -- we need to help them fight back against these full-frontal assaults on their rights as a sovereign state of this great nation. With the City of Cleveland being just one of the area cities jumping on the band wagon against AZ, you can be sure with a new County Council being seated in Cuyahoga County, this will soon follow at a county level. We cannot allow that to happen and must be proactive in stopping it. Below you will find a template for a Resolution supporting the AZ Immigration Bill. We are encouraging everyone to copy & paste it for presentation to your City Council's for passage. On May 17, 2010 Cleveland City Council passed Resolution 675, which opposes Arizona's Senate Bill 1070 and supports Comprehensive Immigration Reform. It has been said that Columbus, Cincinnati, Dayton, Lorain and Toledo will be asked to pass similar resolutions. The Grassroots Rally Team of Ohio has a Resolution which supports Arizona. The resolution was drafted with the help of Immigration Reform Law Institute (IRLI). We will be taking this resolution to our townships, villages and cities asking they pass this resolution to support Arizona. This is a grassroots effort to combat the anti-Arizona resolutions that are being passed in cities. We're asking you to stand with us in supporting Arizona, by asking your community to pass this resolution. Be it Resolved, that the citizens and [Your City Council] of (Your City), Ohio hereby affirm their support for the people of Arizona who must endure the direct consequences of our federal government’s failure in protecting our borders. The [xxxxx] further applauds and thanks Arizona Governor Jan Brewer and the Arizona State Legislature for protecting its citizens when the Federal Government has refused to do so. Senator Scott Brown a turncoat? 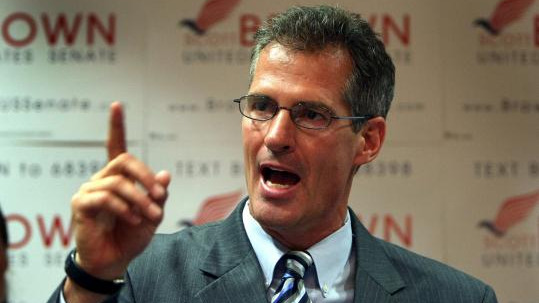 Senator Scott Brown (R-Mass) is facing some heat over his stance on Wall Street reform. People must remember Brown was elected only because he was the 41st vote against health care in the Senate -- NOT because he was a conservative! But this serves as a perfect example of why it is important to put faith in our values and not politicians. In January, he broke the Democrats’ lock on the Senate. On Thursday, he gave it back. Sen. Scott Brown (R-Mass.) effectively became the 60th vote to cut off debate on Wall Street reform Thursday – a far cry from when Republicans were hailing him as the 41st GOPer who was going to stand up to the Democrats’ agenda. Brown also voted "yes" on final passage. Brown’s vote allowed Democrats to move swiftly toward final passage of one of President Barack Obama’s top legislative priorities, a day after he was accused of breaking his word by Senate Majority Leader Harry Reid, who said Brown had promised to vote yes Wednesday. By Thursday, though, Brown switched from no to yes, after a talk with Reid and a full-on sales-pitch from Democrats in the Massachusetts delegation, including Sen. John Kerry, who made the pitch that the bill is good for the state. Brown met Kerry at the Democrat's Georgetown home at 6 a.m. Thursday for a bike ride where they discussed the pending bill extensively, Brown said. Kerry, who had hip replacement surgery in January, rode with Brown all the way to Great Falls, Md., an aide to the Democrat confirmed to POLITICO. House Financial Service Chairman Barney Frank (D-Mass.) also talked to Brown – telling him that his concerns about the impact on home-state financial firms such as Fidelity and State Street would be addressed. It wasn’t simply home-state pride. Democrats needed Brown when it became clear that the ‘no’ votes of Democratic senators Maria Cantwell of Washington and Russ Feingold of Wisconsin couldn’t be flipped. Ohio- May 21, 2010 On Thursday, May 13, the People's Constitution Coalition of Ohio (PCCOH) officers met with the Ballot Committee and obtained approval for the Sovereignty Amendment. On May 17, the Attorney General's office returned the certified petition to PCCOH. On May 18, The Ohio Tea Party Patriots announced its support of the drive to gather petition signatures to place this amendment before Ohio voters. Ever since the August 1, 2009 Liber-Tea Party in Columbus, which was the first call to rally support around an Ohio Sovereignty Amendment, Al Wilson/PCCOH has been working closely with Ohio Senator Tim Grendell, in order to ensure that the language in the amendment and the language in the Senate bill(s) were consistent, and that the Senate efforts and PCCOH efforts strengthened each other to enhance the chances of passage. Sen. Grendell has formally endorsed the PCCOH Ohio Sovereignty Amendment. The PCCOH amendment is a comprehensive sovereignty amendment, intended to protect Ohio residents from intrusive federal legislation, regulation, and mandates. The language has been drafted to protect Ohioans from healthcare mandates, Cap and Trade, amnesty for illegals, card check, and so on - all bills that are either already enacted by Congress or are coming down the pike. If the PCCOH amendment gets enough signatures to get on the ballot, there will be no need to gather signatures for any other sovereignty amendment. In addition, because its protection extends to so many areas of de facto or potential federal encroachment, the OH Tea Party groupsPatriot will be able to look to other organizations concerned with particular issues (e.g., groups opposing amnesty or gun control ) to join in the signature-gathering, thus increasing the likelihood of success. The text of the draft as approved is on the PCCOH website at http://www.pccoh.com/ . To get on the election ballot, the petition needs 400,000 registered Ohio voter signatures + 200,000 additional registered Ohio voter signatures to cover the inevitable disqualification of signatures. PCCOH recommends 700,000 signatures to absolutely guarantee success. In order to get this amendment onto the November 2010 ballot, volunteers would need to collect at least 600,000 signatures by June 20, since 10 days are needed to process the petitions prior to the official June 30 deadline. But that leaves only about 30 days for canvassing, which translates into collecting 20,000 signatures per day. A more realistic timeframe is to aim to get this amendment on the ballot for the May 2011 election, which means we have a mid-December 2010 deadline for submission. Every signature that we collect prior to June 20, 2010 remains valid if we submit in December 2010. Seven northern Ohio groups have already signed on to work with the PCCOH on signature-gathering. They will be looking for team captains to take on specific geographic areas. The first priority will be to identify participating organizations and groups in Ohio , and then team captains from those groups. Specific plans will follow from each participating group. 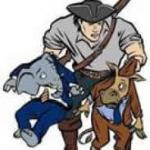 The Tea Party Patriots is a non-partisan, national organization whose core principles are Limited Government, Fiscal Responsibility, and a Free Market Society. Senate Bill 238 would prohibit illegal and unauthorized aliens from receiving compensation and benefits under Ohio's Workers' Compensation Law. Proponent testimony was on May 18, 2010. We attended the hearing and gave testimony in support of this Bill. Opponent testimony is scheduled for Tuesday May 25, 2010 at 4:00 PM. Members of the Grassroots Rally Team also emailed supportive testimony to Senator Seitz, which was also presented as testimony at the hearing. You can still e-mail testimony to Senator Seitz at SD08@senate.state.oh.us . Please contact the committee members and voice your support of this bill. According to the Columbus Dispatch, Columbus Mayor Michael Coleman has banned work-related travel to Arizona. He wants to send a message to Arizona that the new immigration law is not the American way. Click here to read the entire article. It’s time to stand with Arizona and to voice our support for Arizona Senate Bill 1070. We ask you to contact the Mayor's office and politely, respectfully express your concerns about his recent decision to boycott Arizona. Since the signing of SB 1070, Governor Jan Brewer and her state have been scorned and mocked for upholding the law. As Tea Party Patriots, we need to show our support for Gov. Brewer’s actions. Please contact the Arizona Governor’s office and thank her for standing up for America’s laws. Tell her that Ohio stands with Arizona in this fight to protect our country, its boarders and our citizens. Here is a very compelling video put out by the Governor’s office: http://www.youtube.com/watch?v=NLgZ1LWLlko. Thanks to Amy & Jeff (Medina TPP) for the above. In our coordinator call last night Scott Boston (Bowling Green Tea Party Patriots) shared the discussions he had with Tea Party leaders last weekend in AZ at the TPP Regional training meetings. The AZ Tea Party coordinators have expressed their heartfelt thanks for the support they are seeing from across the country. After recently facing a full frontal assault by President Obama and many Democrats in Congress, we must continue our support and stand by our American sisters & brothers in AZ. 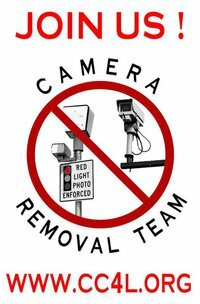 When you contact Columbus Mayor Michael Coleman's office, ask them to put thier money where their mouth is.... the red light cameras in Columbus are run by an AZ company. Challenge Mayor Coleman to stand behind his own boycott and shut down the red light cameras. Continue calling the City of Cleveland and express your outrage over their recent emergency passage of a Resolution against the AZ Immigration Bill. Within the next couple days, we will have a template for a Resolution supporting AZ that you can take to your own City Council and ask your local elected officials to support AZ. Whenever possible please support the Buycott AZ movement with your purchases. To boycott the boycotters, please click here for a list of those boycotting AZ. 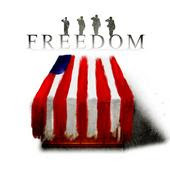 Please sign the Tea Party Patriot petition in support of AZ by clicking here. After signing the petition, share the link with everyone on your Facebook pages and email lists. Please use the below 'I Support Arizona' image on your Facebook and Twitter profiles. Why was this passed as an Emergency Resolution? On May 17, 2010, Cleveland City Council passed Emergency Resolution 675, a resolution opposing Arizona 's SB1070, supporting CIR, and affirming the contributions of all immigrants. Latino community members who were present have reported that the testimony advanced was overwhelmingly positive and empowering. President Obama on Wednesday took another shot at Arizona's new immigration law, saying even last-minute changes leave open the "possibility" of racial profiling, and urged Congress to pass an immigration legalization proposal drafted by Senate Democrats. In a joint appearance in the Rose Garden, Mr. Obama and Mexican President Felipe Calderon offered little in the way of specific solutions to several thorny topics of discussion that ranged from the Arizona law to the violent smuggling of drugs and weapons across the border to ongoing trade disputes. But in pointed remarks, Mr. Obama said he sympathized with Arizona's frustration over federal inaction on immigration but agreed with Mr. Calderon the state's new law could lead to discrimination. 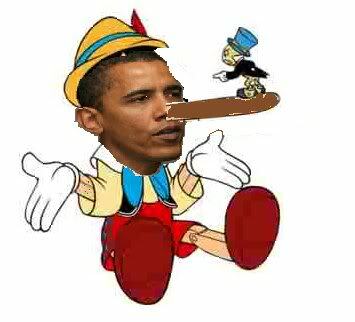 He also said Republicans are holding up efforts to reform immigration policies. "I think a fair reading of the language of the statute indicates that it gives the possibility of individuals who are deemed suspicious of being illegal immigrants from being harassed or arrested. And the judgments that are going to be made in applying this law are troublesome," Mr. Obama told reporters. So instead of just slamming the country he is supposed to lead, President Obama, another one who has not read the AZ Bill, will use his bully pulpit in a hell-bent & politically feeble attempt to castigate AZ for standing up for their states rights with nothing more than amnesty-loving lies! President Obama, what is troublesome is that, in your role as POTUS, you would willingly misrepresent the truth about a sovereign state of this nation in the presence of the leader of another country. Barack Obama will be in Youngstown on Tuesday at V&M Star Steel according to a Business Journal article. Please remember this is intended to be a peaceful demonstration / protest of agenda, policy and performance not the person. “Love the sinner, hate the sin” if you will. News crews will be on hand so please be careful what you say or do. Amazing! It appears Holder would rather draw his looney legal conclusions from the liberal fish wraps and the MSM instead of reading the actual Bill itself! We are requesting everyone contact their OH House Rep and ask them to publicly declare their support for this bill. When you contact them please share your feelings on why you believe OH residents should not be forced into purchasing government mandated health insurance. 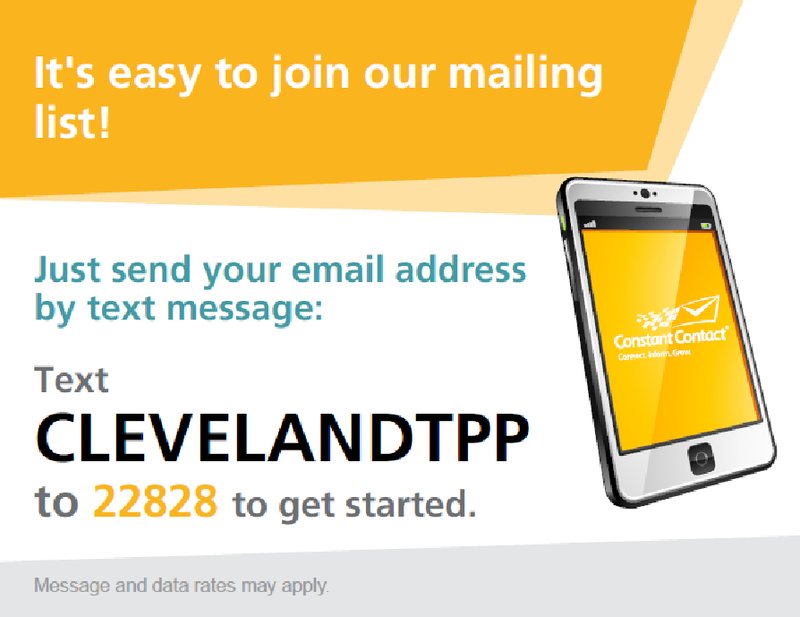 To find your OH House member click here for their contact information. Contact OH House Speaker Armond Budish. Please inform Speaker Budish that as an OH resident you support this proposed legislation and ask that he do the same. Despite a favorable electoral climate for Republicans and former Rep. Rob Portman's huge funding advantage over his Democratic opponent in the contest for Ohio's U.S. Senate seat, polls show the race in a dead heat. Conservatives and "tea party" activists say Mr. Portman's record as a moderate Republican has failed to fire up not only core GOP voters but also what may prove just as important to victory - the "tea party" movement. Complicating the picture is the failure of that movement to meet expectations in some of the May 4 Ohio GOP primary elections. Mr. Portman's resume, though extensive, has elements that raise red flags for conservatives - his service in the White House of President George H.W. Bush, who raised taxes and enlarged government; his election to six terms in the U.S. House, where he voted for the kind of spending that tea party supporters oppose; and his service as U.S. trade representative and then budget director in the big-spending George W. Bush administration. "The tea party sees Portman as the establishment's guy, so the GOP establishment now is saying, 'Don't dismiss him just because he's a party guy,' " Ralph King, a coordinator for the Ohio Tea Party Patriots, told The Washington Times. "But that's asking us to look past his record - giving money to the United Nations and opposing [Colorado Republican] Tom Tancredo's try for a border measure in Congress." That resume may explain why Mr. Portman, 54, is in a close race with the Democratic candidate, Lt. Gov. Lee Fisher, 58, to fill the Senate seat being vacated by retiring Republican Sen. George V. Voinovich, offering Democrats one of their few chances nationwide to "pick up" a Senate seat. "This legislation would require that countries like Greece cut spending and put their own fiscal house in order," says Pence, backed up by other members of the House GOP, "instead of looking to the United States for a bailout. We face record unemployment and a debt crisis of our own, and American taxpayers should not be forced to bear the risk for nations that have avoided making tough choices." The full release is below the fold, with the detail that the bill "does not permanently prohibit the IMF from lending" to the troubled counties. Nevertheless, Ezra Klein is not a fan of this proposal. “The American people are fed up with taxpayer-funded bailouts and deserve to know we are bailing out Greece and possibly other European countries. 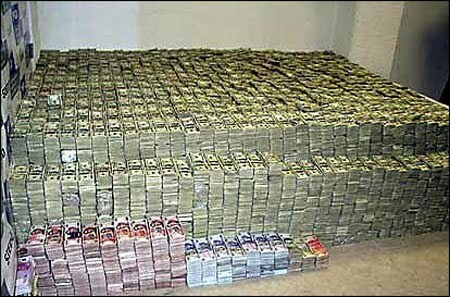 If the Obama Administration has its way, the U.S. will contribute to a nearly trillion dollar bailout of European countries with economic crises that are a direct result of wasteful government spending. “This legislation would require that countries like Greece cut spending and put their own fiscal house in order, instead of looking to the United States for a bailout. We face record unemployment and a debt crisis of our own, and American taxpayers should not be forced to bear the risk for nations that have avoided making tough choices. 1) Prohibit any funds that have yet to be drawn by the IMF from being used to provide financing to any EU countries until all EU nations are in compliance with the debt to GDP ratio requirement in their own collective growth pact. 2) Require the Treasury Secretary to oppose any IMF loans to EU nations until all EU countries are in compliance with their debt to GDP ratio requirement. The bill does not permanently prohibit the IMF from lending to these nations; it simply prohibits the U.S. from participating in the proposed European bailout. 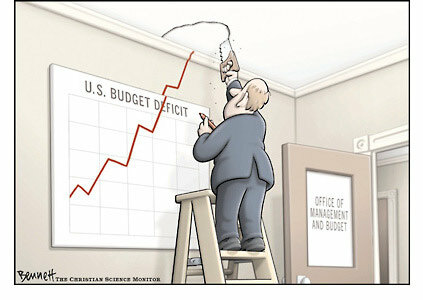 The federal budget deficit hit an all-time high for the month of April as government revenue fell sharply. The Treasury Department said Wednesday the April deficit soared to $82.7 billion, the largest imbalance for that month on record. That was significantly higher than last year's April deficit of $20 billion and above the $30 billion deficit private economists had anticipated. Total revenues for April were down 7.9 percent from a year ago, dipping to $245.3 billion. The Obama administration forecast in February that the deficit for this year will hit an all-time high of $1.56 trillion, surpassing the current record of $1.4 trillion set last year. Many private economists believe this year's imbalance will be closer to the $1.4 trillion set last year and that deficits will remain high for years to come. The trillion-dollar-plus deficits are being driven by the impact of the recession, which has cut government tax revenue while driving up spending. We must not allow the hard work you have done in the fight against government run health care go to waste -- we must continue this fight, but now it needs to be at the state level. Our efforts must be channeled into areas where we can have a reasonable expectation of success. In the the same way we did in D.C., we now need to fill up the phones, faxes and emails in Columbus. One of the avenues in which we can achieve this reasonable expectation of success comes from reconcentrating our efforts in supporting Senate Bill 244 sponsored by OH State Senator Shannon Jones & OH State Senator Tim Grendell. As introduced, SB 244 would prohibit requiring an individual to maintain a policy of health insurance in the State of Ohio. Being introduced when the OH House goes back into session on 5/11/2010, OH Rep. Barbara Sears will be introducing OH House Bill 489 (HB 489) which would also prohibit requiring an individual to maintain a policy of health insurance in the State of Ohio and will be a companion bill to SB 244.
maintain a policy of individual health insurance coverage. To help set the stage prior to HB 489 being introduced, we are requesting everyone contact their OH House Rep and ask them to publicly declare their support for this bill. When you contact them please share your feelings on why you believe OH residents should not be forced into purchasing government mandated health insurance. Contact your OH House Rep and ask that they publicly declare their support for HB 489. To find your OH House member click here for their contact information. If you have not yet done so, please consider signing the online petition supporting State Senator Shannon Jones. You can read & sign the on-line petition in support of SB 244 by clicking here. The LARGE majority of people in greater Cleveland want the traffic cams in Cleveland to go away. We need your help in gathering signatures on the petitions to have this issue put on the ballot for November's election. We were at the West Side Market on May 1st and it is a tremendously productive place to gather signatures. If you can help out for an hour or more, that would be incredibly helpful. We will be on the parking lot side of the market, right where you enter the market. If you go to the link below, we will meet at the intersection where it shows Market St. and W. 24th. 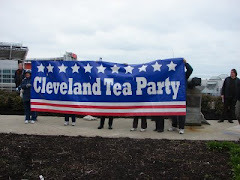 The Geauga / Lake County Tea Party Patriots invite you to our Tea Party in Mentor. Bring your Friends, Family, Neighbors, Flags, Signs & Patriot Spirit and stand with us as Americans in our non-partisan rally. No candidates will be speaking! Our friends at the Grassroots Rally Team members will be staging a counter protest to a rally Co-sponsored by Hispanas Organizadas de Lake y Ashtabula Counties, Reform Immigration for America, Latino Pastors Association, the American Civil Liberties Union, and National Association for the Advancement of Colored People protesting the new Arizona Immigration law and to push for "their" version of immigration reform. Please join the Grassroots Rally Team on the southwest corner of E. 9th Street and Lakeside (across from the Free Stamp) Monday May 3rd from 11:30 A.M. - 12:30 P.M.
We need to let Senator Brown and Senator Voinovich know citizens oppose amnesty! Please click here to sign the Tea Party Patriots petition supporting the new AZ Immigration law. Many people have many thoughts on how we should fix the illegal immigrant problem plaguing our country and what we should do with the ones that are already here illegally. One thing is for sure.... doing nothing will only allow the problem to expand and become a bigger financial strain on states, counties, & cities, most of which are already facing a shortage of cash & cutting back on services. One of the first steps, being a nation of laws, the federal government should enforce the current immigration laws. But what is a state to do when the federal government does NOT enforce their own laws and this lack of enforcement is creating a financial strain on the well being of the community along with creating an unsafe environment for U.S. citizens? Most would say it is incumbent on the elected state officials, within the powers vested in them under our Constitution & affirmed in their State Constitution, to take action in addressing the problems when the Federal government refuses to do so. The State of Arizona did just that and is now facing a full frontal attack on their states rights by the federal government that allowed the problem to grow to epidemic proportions. The initial law, signed by Gov. Jan Brewer last week, required police to determine a person's immigration status if officers formed a reasonable suspicion about their legality during any "lawful contact." That led to suggestions by some legal experts that police would be obligated to scrutinize even people who asked for directions. Lawmakers on Thursday night changed the language to require scrutiny only of people who police stop, detain or arrest. They also changed a section of the bill that barred officers from "solely" using race as grounds for suspecting someone is in the country illegally; opponents had argued that that would allow race to be a factor. The legislators removed the word "solely" to bar race from being used by officers enforcing the law. The intent of AZ's new law was always clear -- removing the illegal immigrants already there and stop/stem the flow of illegal immigrants from over the porous border that the federal government refuses to address. It has nothing to do with being against a certain race or culture. Nowhere in the law does it say only target people from Mexico or specific races from Latin America. Arizona's immigration law has been an immediate hit with the Republican base, but some of the party's top strategists and rising stars worry that the harsh crackdown may do long-term damage to the GOP in the eyes of America's Hispanic population. And the party's long-term thinkers worry that the Arizona law is merely a quick political fix which may create a permanent rift with the fastest growing segment of the U.S. electorate. "It's like a virus that you get and you don't feel like you're unhealthy for the first few days, but after that you have a fever and you're really sick," says Matthew Dowd, former President George W. Bush's chief strategist in 2004. "You can't win a national election and you can't win certain states without the Latino vote. And Republicans already had a problem." Even though this new law has bi-partisan support in Arizona, and the fact that AZ Governor Jan Brewer actually saw an increase in poll numbers AFTER the law was signed, as usual ignoring the will and voice of "We the People," Russo & the GOP want to make it about the "party" and not the people. A couple of polls being ignored by the spineless GOP and the "drive-by" Tea Party Express is a Gallup poll showing 51% of Americans aware of the Arizona law support it -- along with 39% of the people polled who have not yet heard of the law also supported it. The 39% most likely reflects U.S. citizens happy somebody is just doing something about the illegal immigration problem in this country. And in a poll done by SurveyUSA, 82 percent of Florida Republicans who have heard about Arizona's law agree with it—and 81 percent think Florida should pass a similar measure. You can click here to sign the Tea Party Patriots petition supporting Arizona's new law.